Following allegations of taking money from the All Progressives Congress leveled against him by Deji Adeyanju, Charly Boy has responded. Charly Boy Oputa, founder of the OurMumuDonDo movement has responded to allegations by his former partner, Deji Adeyanju who resigned from the group over financial differences. 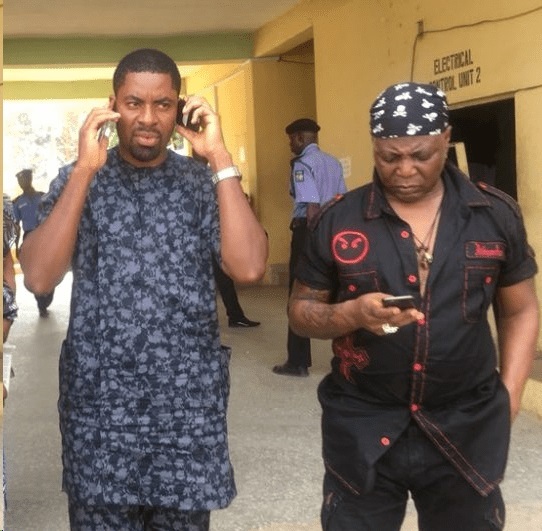 Adeyanju had alleged that Charly Boy betrayed him by collecting money at his back to support the ruling All Progressives Congress and attack the opposition, Peoples Democratic Party.